Prior to starting university, it never struck me that there could be so much disdain for a harmless sitcom like The Big Bang Theory. Whenever it’s brought up in conversation among my peers, I am always surprised that there is so much hate for a television programme I have always enjoyed so much: the mere mention of the title evokes eye rolls, snide remarks and even personal attacks on me, because how could I like a show that’s “stupid and not funny”? Yet, when I ask my friends who do not enjoy it, I am bombarded with vague reasons which often don’t quite stand up. Here are the three arguments I most often met with when the show is brought up – and why they’re wrong. This (incorrect) statement always bothers me the most. Before going into any other detail, I must point out what I say to everyone who claims this must be true: the writers of the show have confirmed that they did not intentionally write the character with Asperger’s traits. Speaking to TIME magazine, actor Jim Parsons stated, ‘I asked the writers, and they were like, No, he doesn’t have it. It’s been useful to us to utilize some of those “Aspergian” traits, but we need to be able to move away from it if we want to.’ (‘10 Questions for Jim Parsons’, TIME, 2011). While it is clear that Sheldon has many traits which could be compared to those of Asperger’s or autism, the writers didn’t intend to write him as autistic in any way. These traits he displays become a part of who he is as a character, and attempts shouldn’t be made to try and categorise him. All of the characters have defining qualities which make them different and interesting to watch, so to hear comments such as “a show about an autistic man isn’t funny” is incredibly frustrating for me as it’s not the case! I also hear this one frequently, people claiming that the show never moves past four nerds struggling to talk to the pretty girl across the corridor. Granted, this was the plot basis for the first couple of seasons, but the show has come a long way in 10 years. The introduction of Bernadette and Amy as main characters brings a fresh element to the programme, as now we have two incredibly intelligent, driven female characters to join Penny and almost balance out the male:female ratio. The casting of Mayim Bialik as Amy was inspired, as not only is she a talented actress, but she is also a successful neuroscientist. 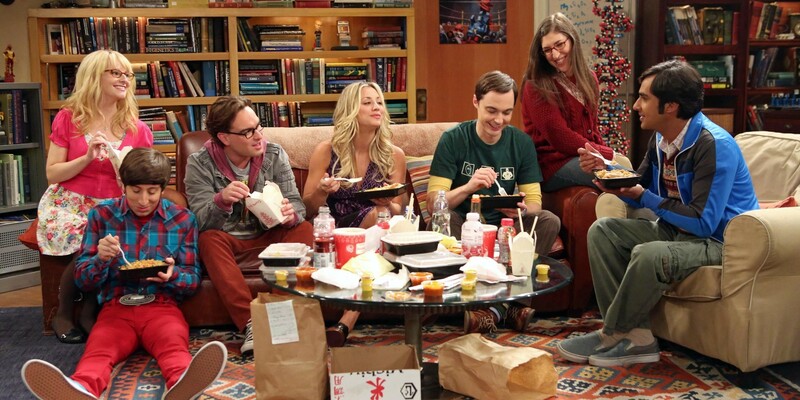 Amy’s character also adds a new dimension to Sheldon as he tries his best to understand romance and relationships. By the end of Series 10 the show really covers a wide range of characters and storylines, with Penny and Leonard married, Howard and Bernadette with a baby, and Sheldon and Amy’s relationship developing further than anyone could have anticipated back when she was introduced in Season 4. Television programmes cannot appeal to everyone’s tastes, and this could not be more true with comedies. While the humour of The Big Bang Theory isn’t appreciated by all, to just call it ‘dumb’, as I have heard it described, is incredibly narrow-minded – and also inaccurate. The majority of the comedy in the show is well thought out, with much of it being based around the characters’ work in science (bar Penny). To ensure scientific accuracy, the show has a science specialist working on set, and the actors often learn portions of script that don’t necessarily make a lot of sense to them, but are witty on an intelligent level. The more generic sitcom jokes balance this out so the show can play to a wide audience, but they do not dumb the material down in any way. To simply say the humour isn’t clever is just not true: if you personally don’t find it funny, don’t attack others who do. At the end of the day, the ultimate defence of The Big Bang Theory is its incredible success. The programme’s eleventh series is soon to air in the UK, with a twelfth already commissioned, as well as a spin off series, Young Sheldon, premiering alongside Series 11. This, and its huge fan base, indicate that it is still going strong. To those who look down upon the show with a sneer, you’re going to have to put up with the fact that this fun show isn’t going anywhere anytime soon. Look out for our “In Criticism of The Big Bang Theory” coming later today!